Given all the reasons for celebration lately, I’ve had some lovely opportunities to wind down with the Sweet Partner in Crime, enjoy some good food, and get my brain back about me. 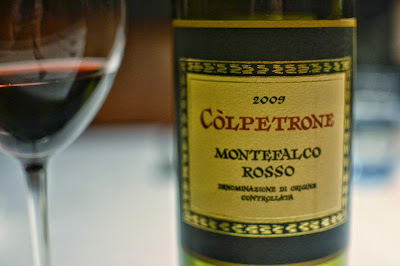 One of those celebrations happened to coincide with a visit from the wine fairy, who left me a bottle of the Colpetrone 2011 Montefalco Rosso. Does that name “Montefalco” ring a bell? You might recall a couple of articles in this space about a wine called “Sagrantino di Montefalco.” Montefalco is a town in the Italian region of Umbria, which is in Central Italy just east of Tuscany. Sagrantino di Montefalco is one of the top-end wines of the region – and is a wine that I deemed “The Italian Heavy Hitter” because of its inky blank color, enormous loads of tannin, and tooth-staining richness. It’s also a bit on the expensive side. I had high hopes for the pairing. This Montefalco Rosso is the “junior version” of the full-blast Sagrantino. 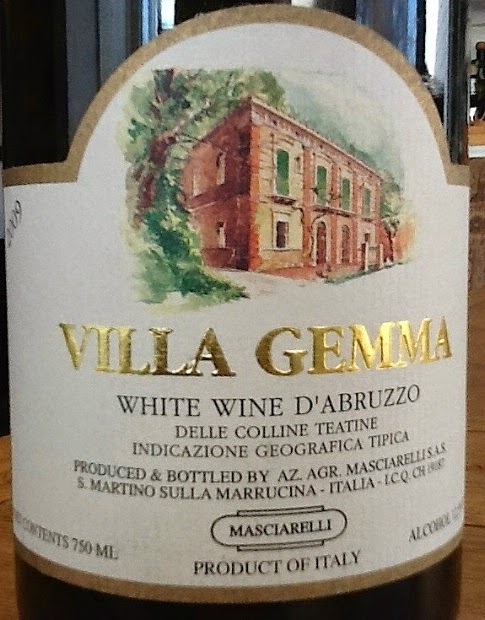 It’s actually a Sangiovese-based wine – 70% of the blend. Sagrantino makes up another 15%, with the remainder as Merlot. I knew it was going to be a big wine, so I poured the wine into a decanter a couple of hours before dinner. I hoped it would combine the heft of the Sagrantino with the food-friendliness of the Sangiovese while the merlot rounded off the edges. I didn’t want our celebratory meal to be interrupted by a tannic overdose, so I broke out one of the few wine-related pieces of merchandise that I’ve been asked to review: the Fete Home Wine Aerator. I’ve mentioned the importance of decanting before, and a wine aerator can speed the process. Decanting allows more oxygen to get into the wine before drinking. Wine sitting in a decanter is more exposed to air, speeding the oxidative process. 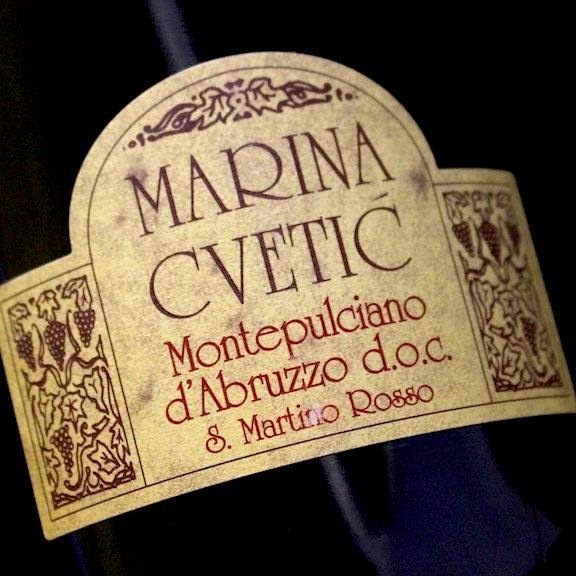 This process allows the wine to “open” – revealing more of its flavors and softening some of the harsher notes. Harsher notes like – say – a big mouthful of tannin. Using an aerator forces more air through a wine than does decanting alone, so an aerator can be useful, especially with big, tannin-fueled wines, to bring out more of the fruit without waiting half a day for a wine to decant. I thought this dinner might be an excellent opportunity to test drive the Fete Home. In a nutshell, it works, and it looks good doing it. I thought the wine was much improved post-decanting. The tannins weren’t quite as rough as with decanting for a couple of hours alone. The fruit rose more effectively on the palate and onto the finish, which developed more of a vanilla and butterscotch flavor. Different speeds might well help certain wines, but I didn’t think decanting on “5” was really any different than decanting on “2.” Your mileage may vary. Bottom lines: I liked the Montefalco Rosso more than the SPinC did. Even after decanting, she thought it was still a bit too heavy for her tastes. I thought it went really nicely with the steak and mushrooms. (Despite being another year older and not quite up for the duck/pancetta combo, I nevertheless was feeling pretty meat-cravingly testosteronic after turning in my dissertation. That may have affected my perception.) If you’re a fan of big, rich, complex reds -- $19-25 isn’t a bad price. This aerator usually runs about $35, but I’ve seen it on sale at Amazon for about $20. If you decide to go the aerator route, or if you’re looking for a nice gift for a wine lover on your list, you’re spending your money well here.